Not a bad tale - a bit reminiscent of "The Hunger Games" in that a group of disparate people are thrown together in a competition to the death. The central character is a strong willed teenage girl trained as a assassin but who also has Cinderella moments, including going to a ball to which she was not invited. Pretty enjoyable. 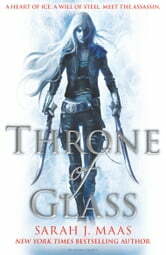 I reallylove this book, i read it for the second time and i still kept me gripped until the last page! If you love a good book with lots of action, romance and a woman who is strongwilled, briliant and can stand up for herself read it. 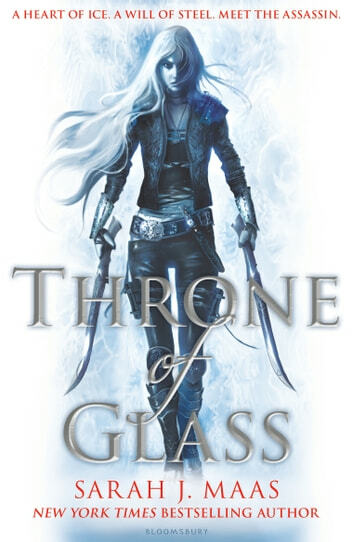 I think Sarah J Maas really did write a great book. A little odd to start off with but that's expected with the start of every book series. After becoming familiar with the story and characters, I enjoyed this book immensely. One of the better books I've read in quite a while. I figured out who the evil guys are about halfway through the book but it takes the protagonist nearly until the end to figure it out, and the character's supposed to be clever... That annoyed me a lot, and felt like the author was trying to misdirect readers but failed miserably. Anyway, I thoroughly enjoyed this book and recommend it to any other YA reader.